Tobacco21 is a smart idea. 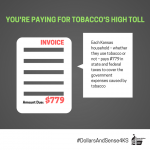 Raising the age of sale for tobacco products is a creative solution to decreasing youth tobacco use. 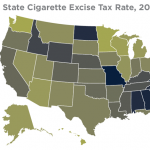 There are some hard and familiar battles that have been fought for a long time, oftentimes without much success — increasing the tobacco tax in Missouri is one such battle. Rather than continuing to fight and lose the same battle, the HealthyKC effort has come up with an entirely new strategy that will generate health dividends for years to come. KC communities value health. Tobacco21 is enacted at the local level, city-by-city. We are fortunate to live in a region that values health, as exemplified in the willingness of so many local mayors, councilmembers, and other elected officials to engage in a conversation around Tobacco21. The business voice weighed in. 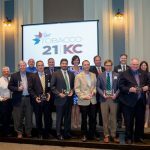 Chambers of commerce and businesses throughout the KC metro have spoken out in favor of Tobacco21. It is expected that the health community would support such policies, but having the business community with us on Tobacco21 has made an incredible difference. KC’s nonprofits brought their experience. KC’s nonprofit community has embraced policy change as a vital part of developing healthy and strong communities. As a result, the nonprofit community has lived experience around policy change and was able to bring lessons learned from clean air campaigns and other public advocacy efforts to help inform the effort. Tobacco21|KC is just getting started, with a couple of solid victories to celebrate and hopefully more to come. The Health Forward Foundation is grateful to be part of the HealthyKC collaboration and looks forward to continued partnership with the region’s nonprofits, businesses, and lawmakers. We embrace the opportunity to educate interested cities on the health impact of Tobacco21 policies. It is an exciting time, as KC continues to demonstrate its leadership around health issues.